Lotus will be marking the end of North American production of the Exige and Elise this month by offering limited final editions. 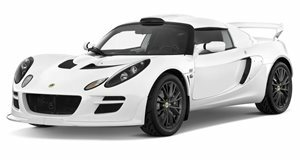 Lotus is marking the end of North American production this month for the Exige and Elise with limited editions for both cars. Both cars use versions of the Toyota 2ZZ engine, which is a 1.8-liter four-cylinder that will no longer be available to Lotus. Both models will continue with different engines in other markets. The Elise SC Final Edition is powered by a supercharged 1.8-liter inline-four that churns out 218 hp. The pair of Exige Final Editions get a more supercharged and intercooled version of the same engine with an output of 257 hp. The Exige Matte Black Final Edition naturally comes with a matte-black exterior finish with black Alcantara sport seats, body-colored rear wing, front splitter, rear diffuser, side skirts, perforated-leather steering wheel and leather door inserts, and leather-trimmed center console and topped off with Yokohama A048 high-performance tires. The Exige S260 Final Edition is powered by the same engine with many of the same features and equipment as the Matte Black Final Edition. The only major exception being that the Exige S260 can be ordered in any color Lotus offers. The Exige S260 also features the Track Pack, Touring Pack and Sport Pack. The Elise SC Final Edition is available in Chrome Orange, Aspen White, Ardent Red and Carbon Gray and is priced from $57,000 with only 15 units available. The Lotus Exige Matte Black Final Edition begins at $69,000 and the Exige S260 Final Edition is priced from$67,500. 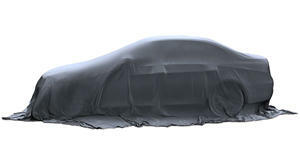 The Exige Matte Black will be limited to 25 units with the Exige S260 producing only 30 units.